Am looking for a versatile board for bump & jump / free ride that can be used for cross-on wave riding in small-medium waves. 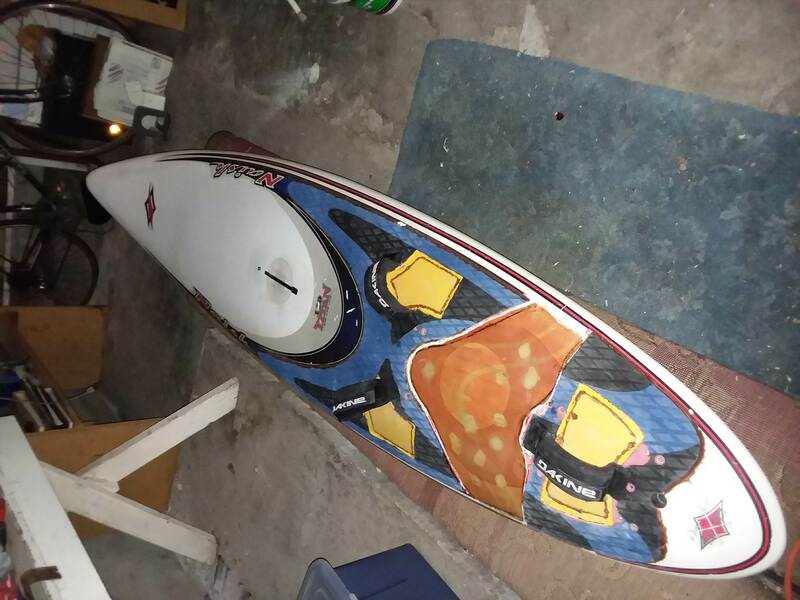 Have had many different wave / slalom boards design over the years, but just want a good all rounder that I could use for blasting on Moreton Bay and wave riding on Sunshine Coast. Reading various reviews the older Naish Starship seems to be designed for this purpose. There also seems to be some evolution of the Starship from the Koncept, and Global wave. It appears that the earlier Koncept boards were derived from the Global Wave, and the rocker was a bit more wave oriented than the later version (from 2013) which then evolved into the Starships (from 2014). Does anyone have any more info on how these board designs evolved ? Am also interested in other designs that may be suitable. Unfortunately, the first step in selecting a board is price and availability. Have you checked this before spending too much time researching? I couldn't find any 2019 Naish waveboards in Australia when checking earlier in the season .. the b&j boards might be stocked though .. or you may be happy to wait months/year etc. Starships are at board crazy according to their website. Worth a call to Simon? I haven't sailed them but I have a Titan and am super impressed with it. Sorry for a negative one- but I was astounded at the poor construction of the 2011 ish Koncept so beware. The Global Wave, is more Wave, than b & J . The 100 liter Starship, I had was very easy, nice to plane , fast, but very plain vanilla in the manouver class. I bought it used and sold it almost straight away. Pretty board, and finished nicely. my experience with Naish , 90 FSW, Hybrid Wave exact size escapes me...96? The only Naish that ticked all the boxes, was the All Terain 104. The older boards I feel were better material and construction. When most wanted and they made, not just Naish but all, very light, many problems occurred. Oh goodie, more Starship stuff . From my understanding, the Starship has been designed from the Concept. My 2016 Starship is still going strong. I use it about 60 days/year. Board is super stiff, solid and no leaks. Just weighed it yesterday and it's still 18 pounds from when I purchased it new in 2016. I have the 115L model and it's all I use. I put a 5.2, 6.0 and 6.8 on it and all sail sizes work beautifully! I also use 3 different size fins with those sails, 27, 34 and 38cm. The Starship is just freakin amazing!! It truly is a multi purpose board. Carves, well, gibes like a dream, super fast, wants to jump over anything in its path, perfect for flat water blasting too. I haven't had the opportunity to try the board in down the line conditions or freestyle. But this is my one and only go to board for 12-25 knots if wind. Be careful you don't bump the Starship on anything hard, it will Nick and crack very easily. Seems like all brands now days just crack or chip if bumped on anything hard. My 2003 Naish 110 Titan I had was very tough. I bumped it on rocks and pavement and it never cracked or chipped like these new boards. I guess that's what we sacrifice now for lighter boards. But the construction in the Starship is very tough for windsurfing, just don't bump the board on hard things and it should last a while. I have had to do some minor repairs on my Starship from bumping it on rocks when transporting it to the water. I want to edit my annual time on water. Total averages to around 75 days/year. About 60 days are full on planing days and the other 15 days are non planing or almost planing days. I have years of Moreton Bay blasting on Exocet Crosses, and I am unlikely to ever change. Worth checking out. Sublime gybing. Another cool thing about this sport is, that we all seem to have our brands that work for us and we trust. We just seem to get into this sweet spot with a certain brand and it consumes us. That being said, we keep going back to the brand we love. I have had a Naish Global 90 (later Koncept) since 2010. Its a beautiful board, no dings whatsoever even though it must have 300+ sessions under the belt. Its a quality blasting board - great speed and gybing but also decent in clean waves. I stick a 22cm maui ultra fins wave fin it it and it loosens up nicely. I would have no hesitation to recommend it. I think the Global and the Koncept were designed by the late Harold Iggy, who was responsable for the classic mistral boards of the 90s, whereas the Starship was designed by Randy Naish. As far as i can remember the Global/ Koncept 90/100/110 2010-2013 were derived from the 2008/09 All Terrain 85/95/104. Their length and width dimensions correspond. The Starship is a different design. Have any of you ever sailed the older Naish Titans in the 110L range before that board changed design into a wide board? It was pretty cool! The titans used to be narrow. I think my Titan was 65 wide. It was a great intermediate board for me at the time. I bought it used in 2012. But when I moved into the Starship, I was impressed. The Starship is faster than the old titan. Thanks guys, appreciate all the feedback. It seems to me that the product lifespans for some of the Naish models seems shorter than other brands such as JP Freestyle wave for example. The 2019 Starship also looks very different to previous ones from 2014 that got great reviews. I have sailed every model of Starship the main difference with the new one is the tail shape it is a little bit quicker than the previous models but still seems to retain the great gybing characteristics. Naish is a funny brand it seems to slip under the radar but they make great shapes.. Didn't the Starship evolve from the Nitrix? We had a 2011 Nitrix 115 Wood in the Family, nice board for learning and blasting, but not really for wave riding, Too flat rockerline esp. in combination with the low noserocker. Got soft on the deck after 2 seasons. The Nitrix was far away from the abilities of a Goya One 105 2014, which we bought as a replacement. My experience of Naish stuff is that it works well, is easy to use and for my Naish boards and sails durability has been really good. A bit of a forgotten brand but their gear is great. Well worth a look! I keep eyeing off a Starship but I had better cull my quiver a bit first. You seem pretty keen on your Fox/es, Fox vs Starship? Hehe that'd be the sail-off. Love my fox ( hence why I'd live to try a starship but it will stay just that a while!!). I suspect the starship is more bump and jump oriented. But the quiver can only get so big !!!! 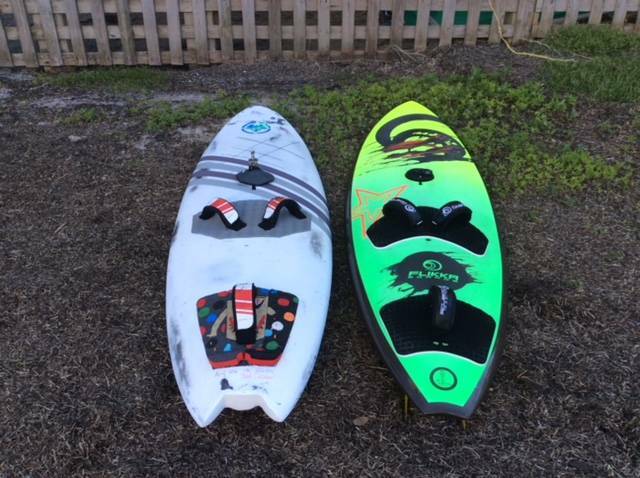 Left is a Naish Titan, 109 liter, that's converted to quad, nose , tail reshaped, all topside fittings moved forward.Era 2002.
brilliant weapon, now around 96 liters. Nice work! Did you change the rocker any? 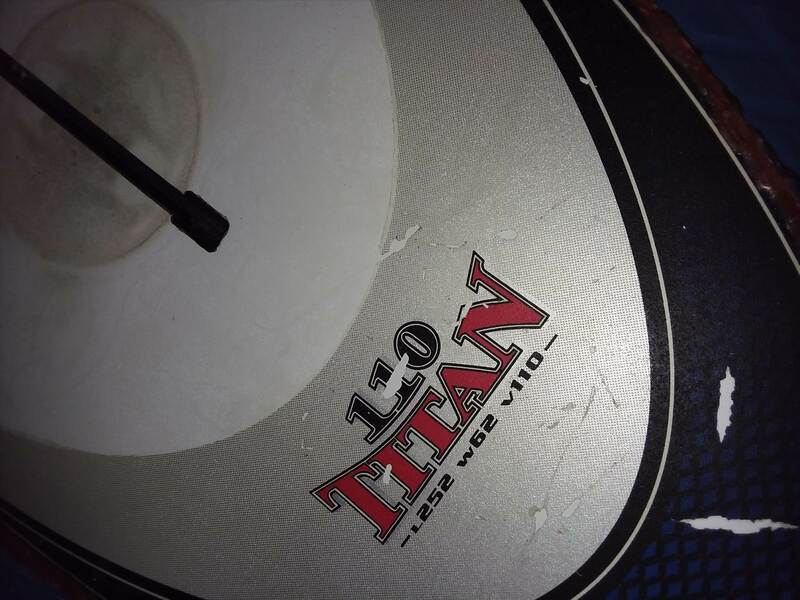 My Titan had a pretty noticeable rocker to it. I'll have to take a pic of it. Here is my old Titan. I did some fiberglassing work between the front and rear foot straps, but haven't put the deck pad over it yet. It's 62 wide, not 65. Nose rocker , changed , the current entire nose was graphed on , about 40 cm in length, changed from the pointy one to a rounded one. Must be an accident , this board really is great.